Marge: I knew you had your hands full with the babies so I baked you some banana bread. Apu: Oh, hallelujah. Our problems are solved. We have banana bread. Marge: Well, you don’t have to be sarcastic. Manjula: Oh, look who’s here. The family with one baby. How do you manage? 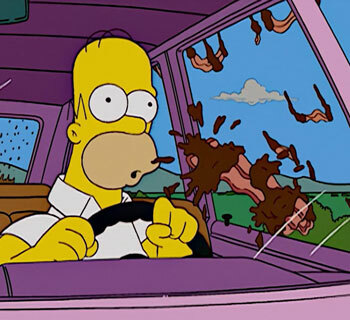 Homer: Marge, they’ve turned into jerks. Apu: I’m very sorry. We’ve been rude. Can I offer you something to drink? Homer and Marge: No, thanks. Manjula: Apu, they’re doing it again. Apu: Okay, break it up. Marge: Maybe you two should get a nanny. Apu: Yes, and what would I pay her with, banana bread? Sorry, sorry. It’s just we haven’t slept in days and we’re running out of money and banana bread! What the hell were you thinking? Banana bread. I apologize. I apologize again. 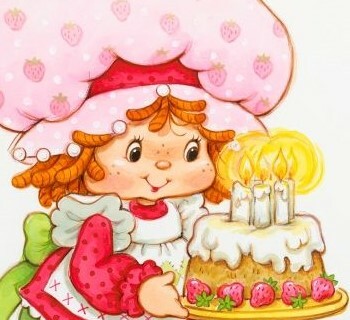 As a token of forgiveness, please take this baby. Apu’s rants are one of my favorite things about The Simpsons. While nothing compares to his “What were you thinking! ?” take down of Principal Skinner and Billy and the Cloneasaurus, his rant against Marge’s Banana Bread is pretty good too. We don’t actually get a shot of the banana bread in this episode, just a covered container. 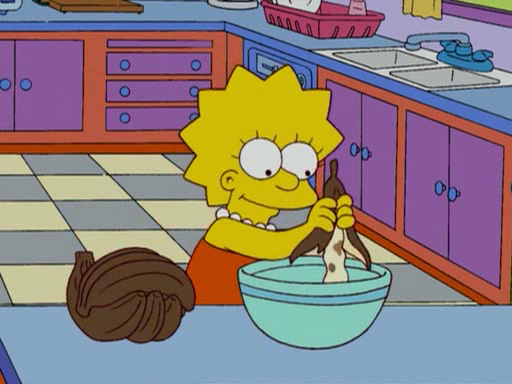 However, based on a much later episode of The Simpsons (Apocalypse Cow), I know that Marge likes to use old bananas for her Banana Bread recipe. My bananas didn’t look quite as gross. However, rest assured they still made the same disturbing noise that every old banana makes when it’s squished out. How can something that sounds so terrible produce something that tastes so good? Heat oven to 350F. Meanwhile, grease a bread pan with rich, creamery butter. Mix together dry ingredients (flour, baking soda) and set aside. In stand mixer beat butter and sugar together. Next add eggs, followed by pre-mashed bananas. Slowly add flour mixture and if the mix is still too wet. Next, add small amounts of flour. Finally stir in chocolate chips. Bake for approximately 60-75 minutes; check if the bread is baked thoroughly by testing with a toothpick in the center. 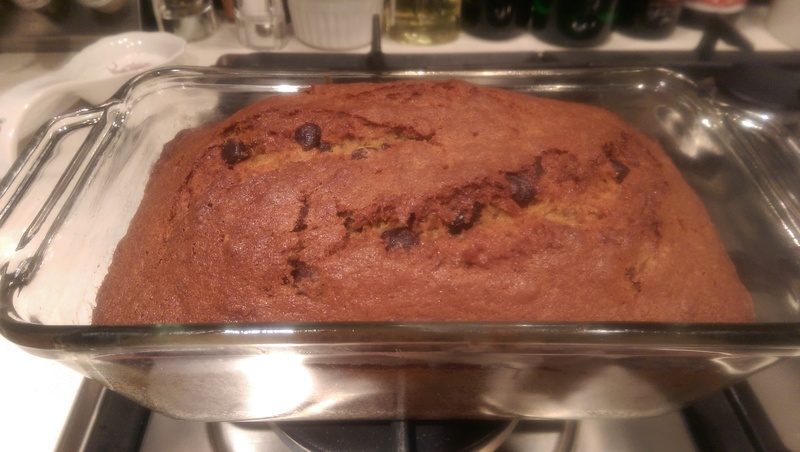 If the toothpick comes out dry, the banana bread is done. The best part about this recipe is that you can use the general banana bread base and then add whatever you like to the mix. So, use nuts, blueberries or chocolate chips – which I used because chocolate is delicious. It might not make someone who has just been saddled with eight children feel better, however it’s certainly not going to hurt either.